VISIBLE GOLDEN PARTICLES IN MY HAIR?! Typical day in my life, I just run my fingers through my hair as I always do, and I see hair in my hand I GET MAD. I take a shower after that long and EXHAUSTING day, and I see LOTS OF HAIR (that fell out from my scalp) IN THE DRAIN, and (yes again) I get MAD!! After using MANY SERUMS & conditioners for my hair, I think I might found a GOOD ONE, eventually. First of all, this little guy LOOKS ABSOLUTELY FABULOUS, darling. To be honest; the shimmering/GLITTERY mixture (visible GOLDEN PARTICLES as they call it) in this serum caught my attention like no other and I decided to give it a TRY. I applied it to my hair after drying it with a towel and cold air from the blow dryer (I will write another post, about drying the hair properly without damaging it, pretty soon). At first, it felt SO HEAVY AND GREASY on my hair and I could feel the OILY MESS on my hands.. Ofcourse I was YELLING AT MYSELF IN THE MIRROR *FEMALE DOG* !!! However, after a couple of minutes the greasy feeling was completely GONE! So I was pretty much relieved. My hair felt quite soft and airy. 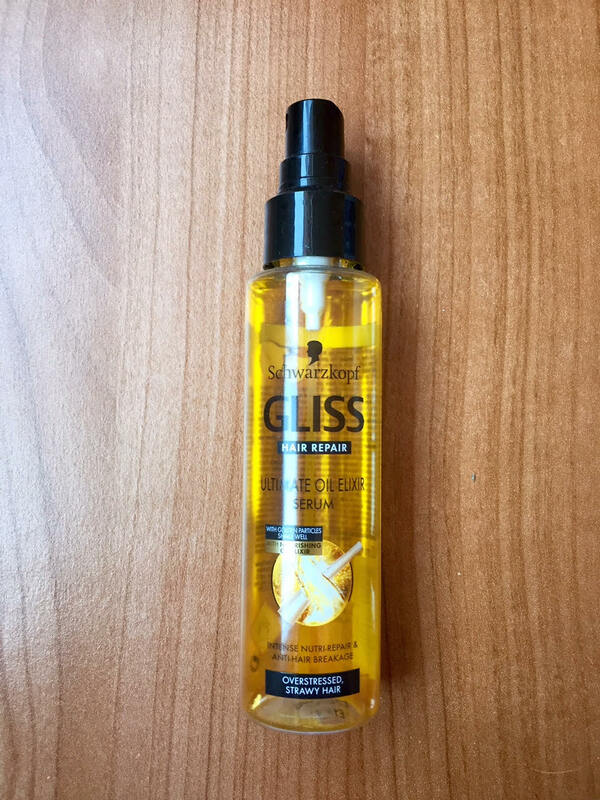 Since then, I use this serum every 3 days and it REALLY DOES HELP GROWING THE HAIR FASTER! I used to cut my hair every 3 weeks, (yes I cut my hair by myself), after the serum however, Now I have to do the trimming every other week because my HAIR GROWS MUCH FASTER THAN BEFORE! By the way; if you are PRONE TO SPLIT ENDS, this little fella will DO WONDERS! 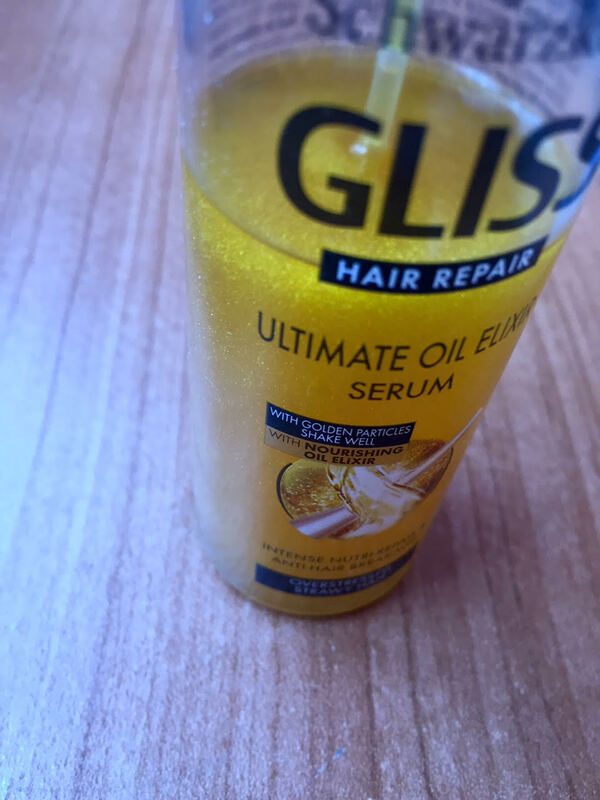 As I shower daily, I don’t let my hair get greasy (which is ACTUALLY GOOD for your hair) but with this serum, I really don’t need to worry about it because it has an oily mix that feeds my scalp and my hair follicles. However, THE SCENT is a little TOO STRONG, that might REPEL you if you have an intolerance to strong smells. 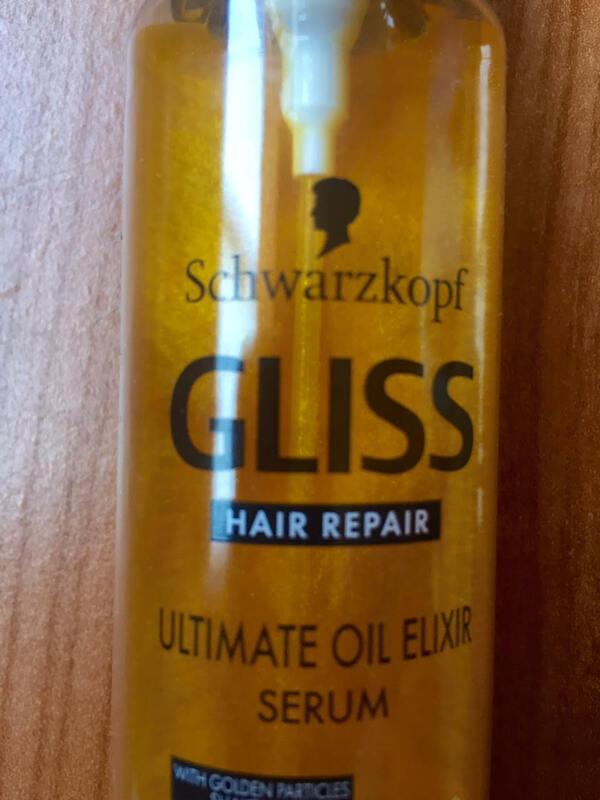 The glitter-y ingredient in it (that makes the serum look like A MAGICAL ELIXIR) gives the hair a shiny look, and it does NOT look TACKY. Before using the serum, MAKE SURE your hair is clean, and evenly dry. You need to SHAKE the bottle to ACTIVATE THE MAGIC (you’ll see what I’m talking about once you get the thing). Here are the shining GOLDEN PARTICLES in action. And I guess this pretty much sums up how I feel about this MAGIC POTION. Thank you for the comment, and make sure you give this magical serum a try. Definitely let me know if you like it or loathe it. I just added an “About Me” page, thank you very much for your suggestion. Thank you! And make sure to let me know after giving it a try! You’re welcome!